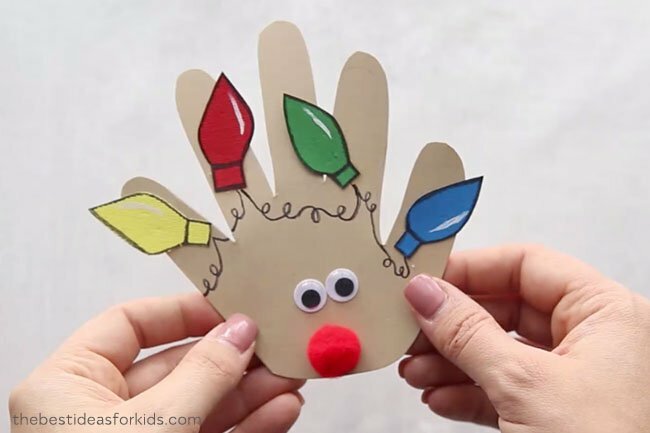 Are you looking for an easy Christmas craft activity to do with kids? 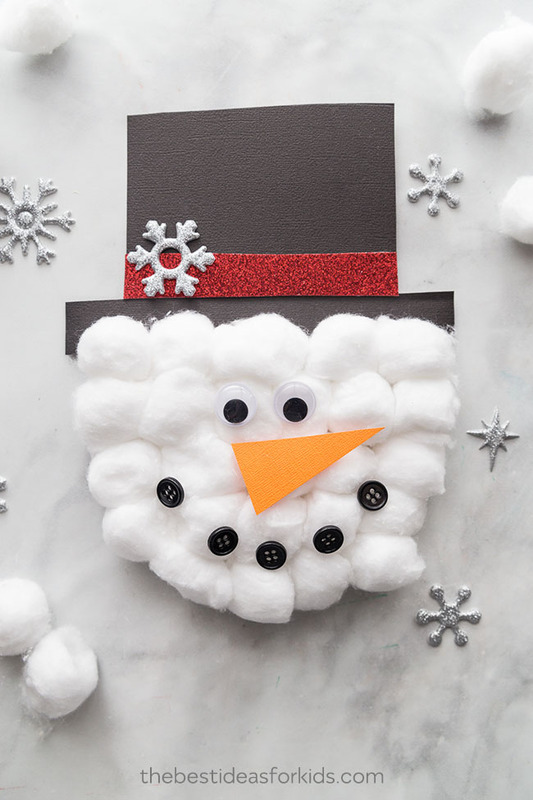 This snowman craft is so easy to make! We love that it is also a card so that kids can make this as a Christmas card for their friends or parents. 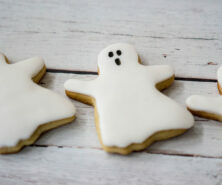 You just need a few supplies to make this – even things you may already have at home! 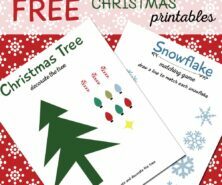 You can also grab the free printable snowman craft template to make it easier! 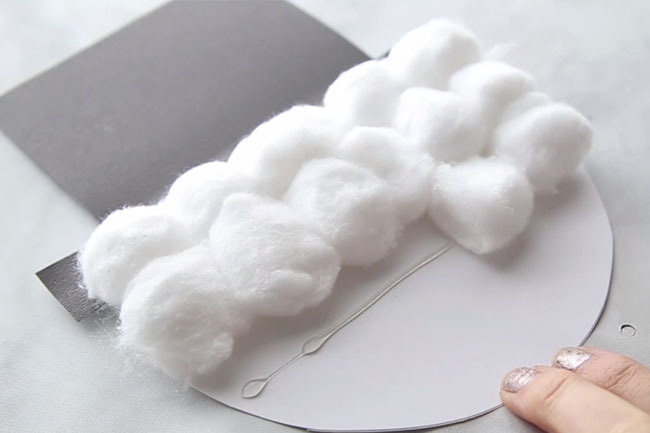 Kids will especially love gluing on the cotton balls in this craft. 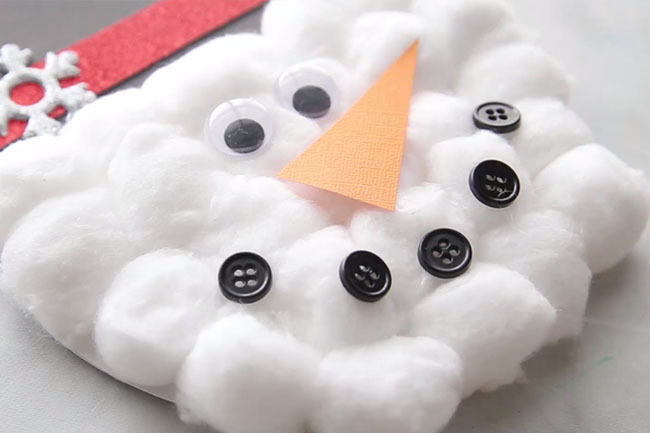 We love how easy and simple this handmade snowman craft is to make! 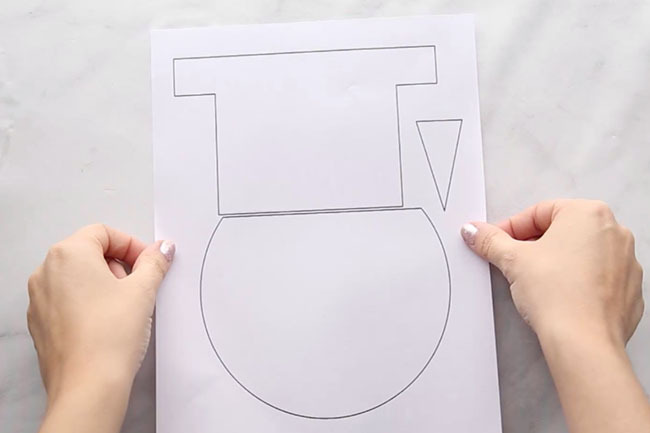 This is really easy to put together with the free printable snowman template. 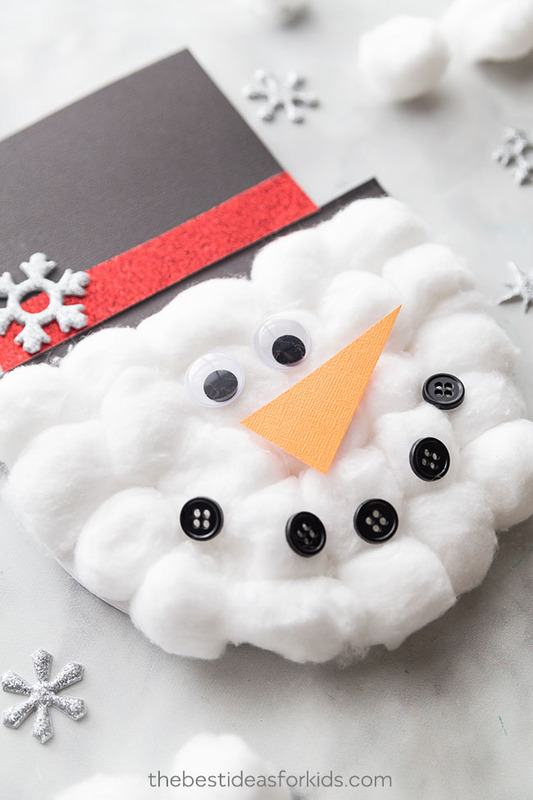 And if you have a bag of cotton balls you can easily make this snowman card with your kids. If you don’t have googly eyes you can even put some buttons for the eyes too. If you love this snowman card, be sure to see our Santa card version. 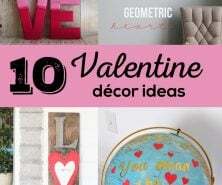 We made this really simple by including a free template as a gift for subscribing to our newsletter. You can get the template emailed to you as a free gift by signing up to our newsletter on the form with the preview of the snowman template. 1. First print out the Snowman template (you can get the template emailed to you as a free gift by signing up to our newsletter on the form with the preview of the Snowman template). 2. Cut out the template elements. 3. 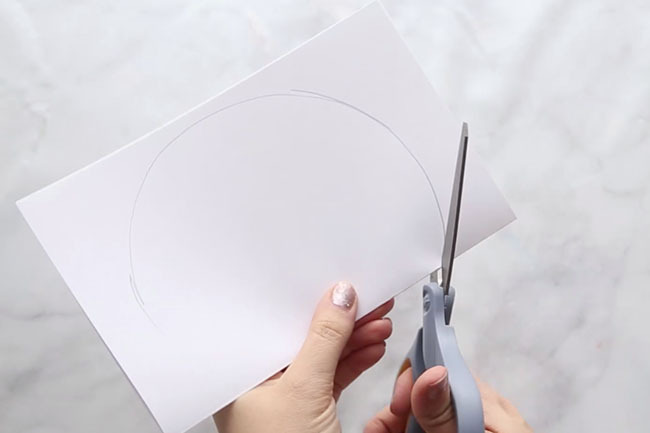 For the snowman face, fold your white cardstock in half and then trace the face part of the template so that the card will open up. Cut it out. 4. 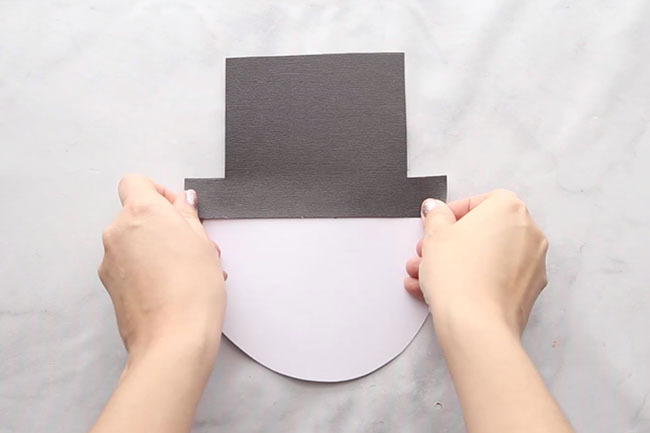 Cut out the hat on black cardstock by tracing around the hat template. Then glue to the top of the snowman face. 5. 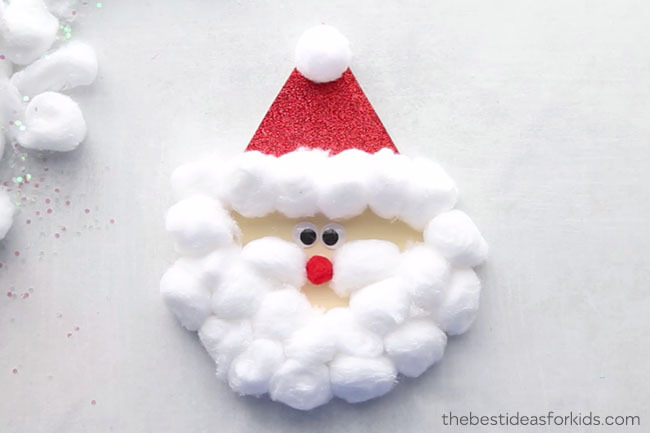 Now you can start gluing your pom poms on to make the face. We like this extra strong non-toxic glue for gluing on pom poms, googly eyes and buttons. 6. Glue a strip of red glitter paper to the hat. 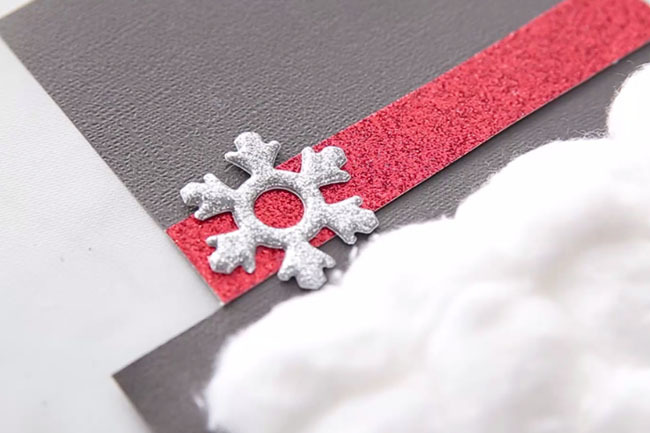 Add some embellishment to the hat like a sticker snowflake or some berries. 7. Cut out the nose from orange cardstock or orange glitter foam paper. Then glue on the googly eyes, nose and buttons for the mouth. 8. Write “Merry Christmas” or another special message inside. 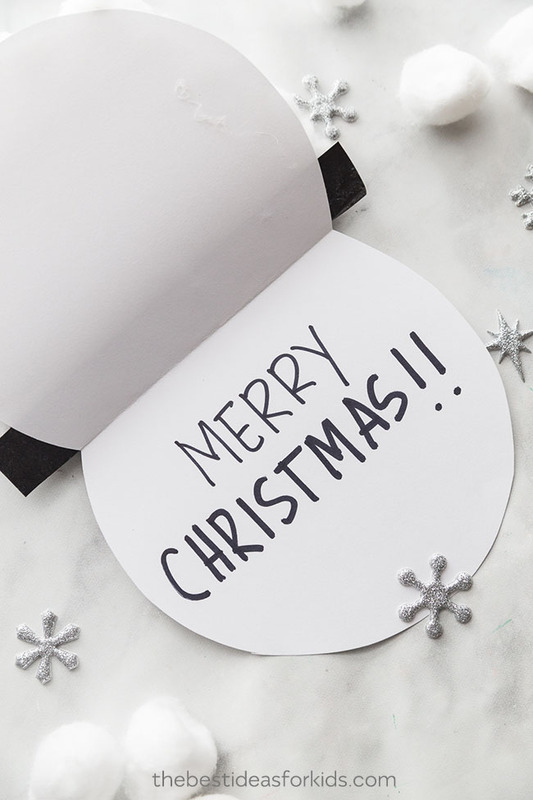 Sign up for our Newsletter and get this Snowman Template as a thank you! See this Santa card – we also have a free printable template you can use to create this card. These handprint Christmas cards make the cutest keepsake cards for Christmas. See how to make a Santa, reindeer and elf handprint card. 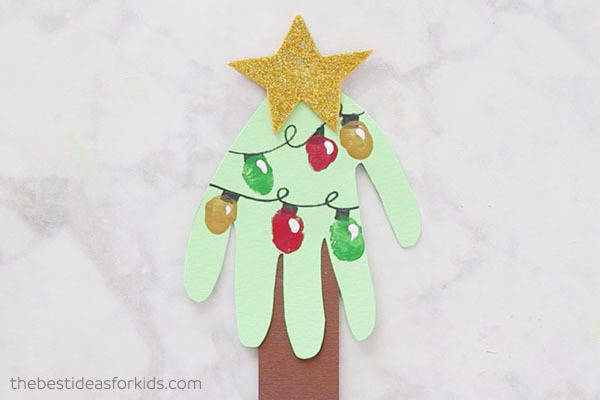 This Christmas tree handprint card includes fingerprints for the lights and is really easy to make. 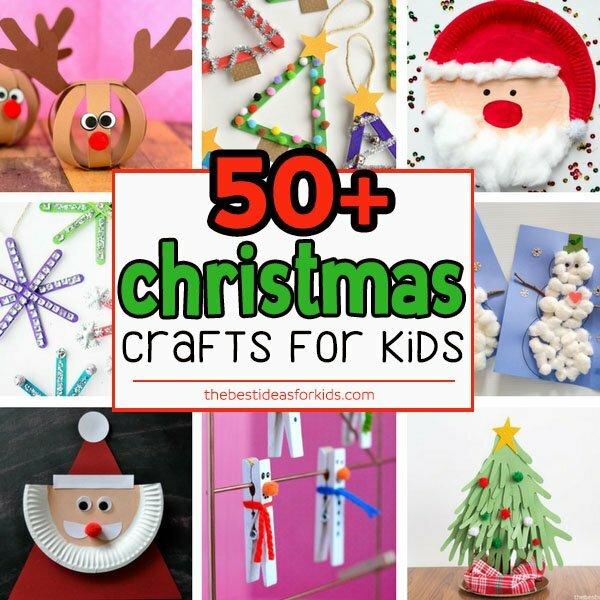 For more Christmas craft ideas, see 50+ Christmas Crafts for Kids.